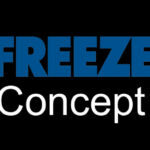 Nitrofreeze® Dry Ice Blast Cleaning is a much faster way to get your molds back online when they are down for cleaning. Dry ice blasting will remove surface residues created from the product mix, mold releases and even the labeling process. The process eliminates the need for chemical cleansing agents, scraping and scrubbing. Our process drastically reduces cleaning duration because of its speed and elimination of secondary waste. Nitrofreeze® Dry Ice Blast Cleaning will make your molds look near new. Molds can be cleaned hot and in-place. This reduces the time spent cleaning the molds, while effectively reducing downtime overall. Dry ice blast cleaning can reduce clean time by up to 80% while being environmentally responsible. The process is an approved cleaning method by the EPA, USDA and FDA. Below is a video that shows the cleaning of a small 1′ x 1′ mold. We have completed many dry ice blasting projects in the New England region. We currently offer our dry ice blast cleaning service throughout Massachusetts, Connecticut, Rhode Island, New Hampshire, Vermont, Maine and parts of New York.